Through our partnership with Food Well Alliance, we support entrepreneurial efforts that advance the strength of our local food system— this includes the way we grow it, receive it, know about it, and consume it. That means each year we reserve a select number of seats in the Fellowship for leaders that are focused specifically on local food. 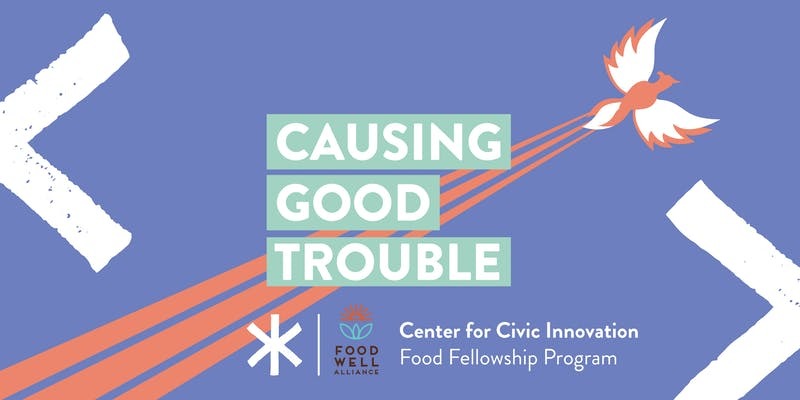 Join us for an info session to learn more about the Civic Innovation Food Fellowship and the application process! Read up on the program to learn what we provide, what we expect, who we are looking for, and more. Click here to see the judging criteria and great responses from past applicants.